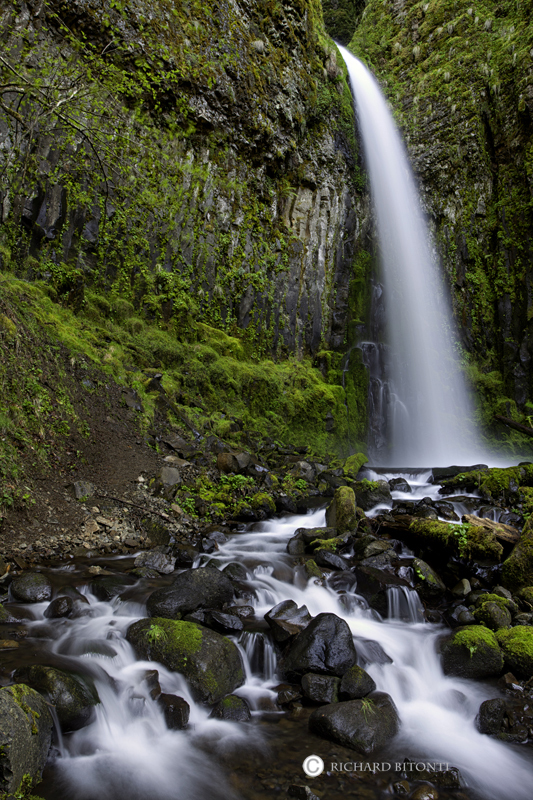 This is a beautiful waterfall in the Columbia River Gorge located along the Pacific Crest Trail (PCT) just south of Cascade Locks, Oregon. The trail leads the hiker to an awesome cathedral with a beautiful waterfall displayed on center-stage. Photo © copyright by Richard Bitonti.